Rick Harmon has been pursuing real estate opportunities since 1978. He is a nationally recognized authority on probate and trust real estate, an active investor and widely known for his many outside-the-box deal-making strategies. In 1984, Rick started The Suburban Group, a mortgage banking concern specializing in serving the legal and professional community. As an author and frequent Bar Association and legal group lecturer, Rick Harmon is widely credited with pioneering the use of mortgage financing of real property held in probate estates, trusts and conservatorships. Most all of his clients are referred directly by their attorneys or probate legal community, in addition to ongoing business relationships serving professional fiduciaries and public administrators. 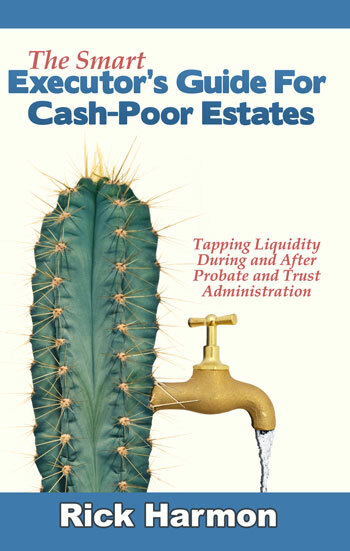 He has been directly involved in well over a thousand probate estate and trust related transactions which makes him one of—if not the—most experienced probate investor in the nation. Rick credits much of his success to his “Dealflow” practice; only providing core-competency services directly and referring all other clients to better qualified experts. One of his favorite activities is being a title technician, and using many skills, industry contacts and resources to perfect defective real estate title. He’s absolutely passionate about real estate problem solving and truly enjoys applying the principals of turning lemons into lemonade.